At the beginning of this century in year 2000, the average enterprise worker was using technology at least on par with anything else available elsewhere. By 2010, consumer technology had surpassed enterprise technology and products in just about every conceivable way. Google empowered every consumer to access information faster, cheaper while Facebook delivered a worldwide platform capable of handling a Billion users with few tens of milliseconds of latency, composite apps, and capable of ingesting tens of terabytes of new data every day. iPhones, Android, and iPads brought mobility to media, web, and apps while Twitter was on its way to becoming the messagebus of the world. Consumers could store and sync across devices and locations with Dropbox or Box, or stream movies on demand direct to most screens with Netflix. It is clear that 2000-2010 was the decade of consumer computing. Looking forward to the next ten years, there is increasing excitement about the Enterprise market in silicon valley. I think we have seen waves of innovation form and deliver change in enterprise: the first big wave was the introduction of computing, the second was the Internet, and the third is a combination of cloud, big-data, and mobility. First, for about a decade and a half, technology startups have tried to sell solutions that can be broadly classified as either faster, cheaper, or more efficient. Touting ‘lower TCO’ or ‘lower opex’, these products aimed to save money for their customers but never really enabled new products or revenue for their customers. Today, for the first time since the arrival of Internet as a business reality, startups are creating products for the enterprise that enable the enterprise to create new lines of business and new revenue in addition to being faster/cheaper. This is particularly true in Enterprise Infrastructure where consumer platforms have already demonstrated scale, ability, and innovation never seen in enterprise products. Today, there is no reason why the technology stack in use at Twitter or Facebook should not be leveraged for GE or Walmart or the next 5000 enterprise IT operations – not merely to save them money, rather to enable new lines of business and revenue so that they can compete against new online businesses. Second, software-as-a-service is now the dominant mode of delivery of most new applications for enterprise. While enterprise CIOs are changing over to this service-driven app consumption model, they are also facing a simultaneous change across all their resource layers – Computation, Storage , and Networking. Amazon and to some extent Google have proven you can leverage resources available anywhere (Cloud) across the Internet for your business operations whether you are a startup or the largest enterprise on the planet. This dual change presents most enterprises with perhaps the most complex challenge since the arrival of desktop computers for their workforce. Solving this challenge will create large and long lasting opportunities for many startups and established vendors (IBM) alike. As if this challenge wasn’t enough, mobility is now a potential standard feature across all applications and requires deep changes to presentation, logic, and database layers. Startups targeting this particular field must remember that the “S” in SDN or SDDC must stand for “service”, not software. And finally, the ability to manipulate, transform, and store unprecedented amounts of data (Big Data) for enterprise enables them to derive real-time intelligence and actionable information for their customers, partners, and suppliers. This Data-Intelligence segment alone has the potential to create a market as momentous as the Enterprise Software market that began with the founding of Systemanalyse und Programmentwicklung (“System Analysis and Program Development“) in 1972, Software Development Labs in 1977 and Gupta Software in 1984. Taken together, these innovations promise to deliver productivity gains that will rival those delivered by the first two waves (computing, Internet) in the enterprise. Such productivity boost, coupled with new business capabilities has the potential to increase revenue and boost profit margins for enterprise customers that can leverage these advances. This is the beginning of a great new enterprise market for startups. It is time to build the future of enterprise – starting now. Over the past month I have focused on long term opportunities in Infrastructure Investment. 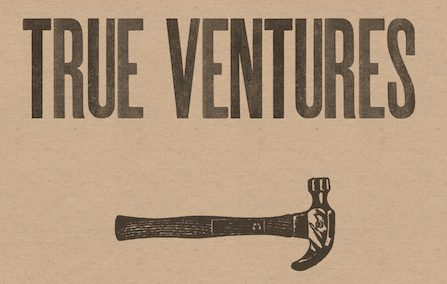 The areas of interest to me outlined here are an invitation for founder-conversations for a venture adventure. A good qualifier I use is “Is this a 10 year market?” – putting this simple question at the beginning of a discussion and gently raising it during founder pitches for their vision has served to separate chaff from meaningful kernels. Another good filter is ‘enterprise‘ as the end-customer. 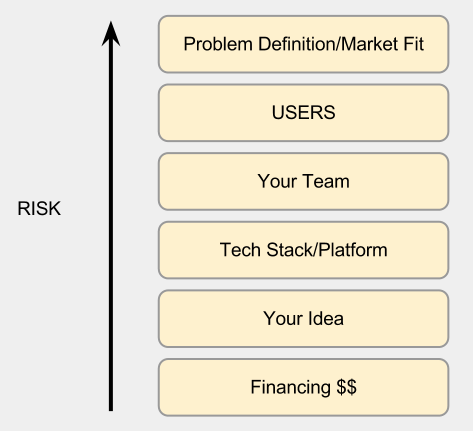 Even if a startup is selling to intermediaries like service providers, at some point, most infrastructure “solutions” are consumed by, and hence defined-by enterprise customers. We’re now definitively entering the era of smartphones, tablets, and other screens enabling mobility for just about every experience. Historically treated via ‘gateways’ or addressed by merely reformatting pixels for the mobile screen, mobility is an aspect that is as much about context as it is about the specific features/information selected for display/interaction on a mobile screen. In a world of touch interfaces, ‘swipe’ gestures, and easy eye-tracking for display control, the nature of information presentation and interaction changes in a fundamental way. Database, partitioning, load-balancing, caching, front-end serving choices, etc are all up for optimization once you factor in mobility. Unless addressed at every layer of the solution, mobility will break more applications than it enhances and deserves to be treated as a fundamental factor in engineering infrastructure for any service/application. Thinking further, advances in mobile frameworks like Musubi (Mobisocial Group, Stanford) permit serverless app development by leveraging the smarts in any smartphone while honoring user privacy for all personal/social data. Efforts like these have the potential to reinvent mobility for the next decade. I believe the ‘control’ layer for enterprise, data-center, and service provider infrastructure (private, public, hybrid) is up for grabs for the first time in infrastructure history. None of the large technology vendors: Cisco, EMC/Vmware, Citrix, HP, IBM,… have a defensible position or a compelling solution here. More than merely an OS (open) or resource-aware hypervisor, this layer needs to address policy and compliance as much as it needs to deliver service supervision, quality at the right cost and performance across sub-clouds. As enterprises begin to consume a rapidly increasing set of software services hosted elsewhere, these services will be required to exchange information between themselves. This exchange of information also needs to occur with compliance and following customer policies. At some point, a TIBCO of cloud(s) also needs to exist. The control layer I envision needs to interact with all the constituent parts of a cloud based, cloud-delivered set of services. Nicira and other’s vision of SDNs are early pointers to the kind of protocol work yet to be done to support service-aware traffic engineering goals over data center and core networks. In physical infrastructure, at some point, a simple and stupid-fast optical layer in the service of flexible IP networks will eventually happen without jurassic interface definitions like OTN. Physical layer innovations that lead to simplicity will scale – and win. In the end, the cloud is less about technology – it is about providing the right business solution. Yes, innovative (and open) technology is required but in the end, technology is the easiest part of the stack. The most meaningful advances in computing, networking, and storage have come from consumer focused webscale companies in the past decade: Yahoo, Google, Amazon, Facebook, Twitter. Most of these innovations will have applications directly in the enterprise world over the next ten years. Innovations like the low latency, throughput optimized hi1.4xlarge instance announced by AWS and benchmarked by Netflix in July 2012 are now available on demand without spending a dime on custom engineering, maintenance, or revisions. The software (application) layer needs to do precisely nothing to leverage this hardware innovation – it just runs (faster)! This is the eventual promise of cloud – ideally it should know no bounds and permit a variety of specialized hardware to be utilized without requiring a change in *any* software. We are approaching the end of commodity hardware machines and entering the era of custom (re)configurable hardware subservient to software. Moving beyond the first generation of large scale data processing tools (GFS, MapReduce, Hadoop, Pig, Hive,…) we’re now entering phase-2 of wringing intelligent insights from Big Data interactively, and in near real time. BigQuery (Dremel) at Google, Cassovary at Twitter are examples of easy to use (for programmers) services that scale with ease from tens to thousands of servers and return instantaneous results across diverse data sets. The old/conventional paradigm of batch-processing required Business Analysts, the eventual users of these tools, to work with programmers/IT or learn frameworks like SQL, SAS, R,.. in order to run, modify, and redefine queries of interest. While it won’t turn mere mortal Business Analysts in to data scientists, it meaningfully reduces the ‘process’ friction and conventional-IT cooperation required in order to get the desired intelligence out of data. Suitable only for developers today given their data models and querying languages, the interactive nature of these tools will make it attractive for startups to build data visualization, manipulation, analytics, and reporting tools on top of these magnificent data processing frameworks. The resultant Agility in business processes directly and positively enables business model innovation. Thank you for reading this far. Some working notes for this post are here. This week our team at Syfto introduced its new UI (www.syfto.com). This UI is essentially an experiment in finding an effective way to present recommendations to the user. Ideally, we would like to present the user with the most relevant content while requiring them to do minimal work. The challenge of finding the right balance between ‘work’ and ‘discovery’ is central to defining the right user experience. I will buy something I found. I will recommend this site/app to a few friends. I want to see what my friends like. I want to see what everyone liked. 1. Ask the user a lot of questions – at signup/onboarding as well on an ongoing basis. There are a few sites that do this well but none seems to find the right balance between annoying and helpful. 2. Make users interact with a lot of content. This is easier said than done since overwhelming the user with content is exactly what we’re trying to avoid in the first place. For a startup working off a seed financing, not a lot of data exists a priori or can be created in the time permitted by first financing or within a pivot experiment. While social data sets via Facebook (or Twitter) help to some extent, they are typically sparse in order to compute recommendations solely based on that data/mining. Other sources of good data include ‘trending’ content on the site and social proof (what your friends liked on the site). The challenge to present this information to the users such that we enable guided-discovery is a complex one. The inherent paradox of producing useful recommendations/suggestions to the users while not asking them to do ‘work’ is the one we have to solve. Our current UI stays within conventional representations of ‘recommended items’. Over the next few weeks we will be introducing new ways for users to discover what we find and recommend to them.